In the section of road in question, the A4 narrows from three to two lanes. 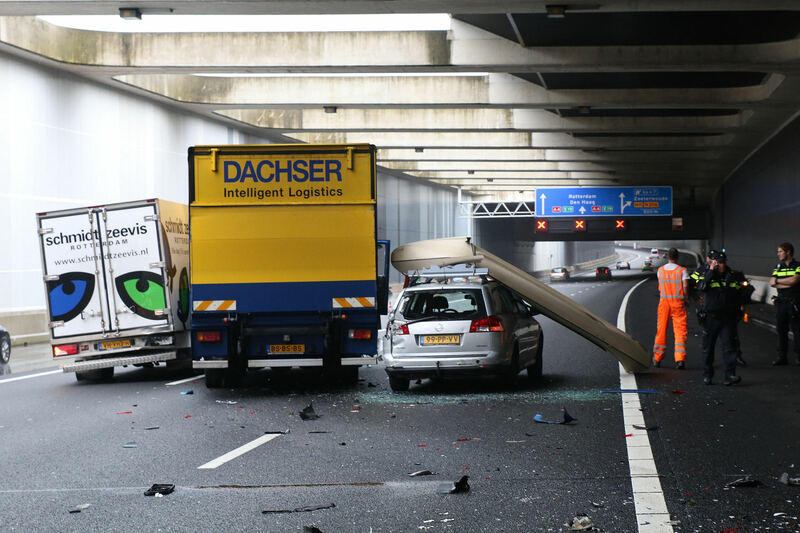 Just before this happens, the traffic exits a tunnel in which the busy Leiden and Utrecht turnoff is also located. The combination of traffic leaving the motorway, the sudden emergence into daylight and the feeder lane from the left-hand carriageway combine to considerably increase the risk of accidents. Rijkswaterstaat is working on plans to widen this section of the A4 motorway. Four of the other road sections on which most accidents occurred in 2018 were on or immediately adjacent to the A10 Amsterdam orbital. 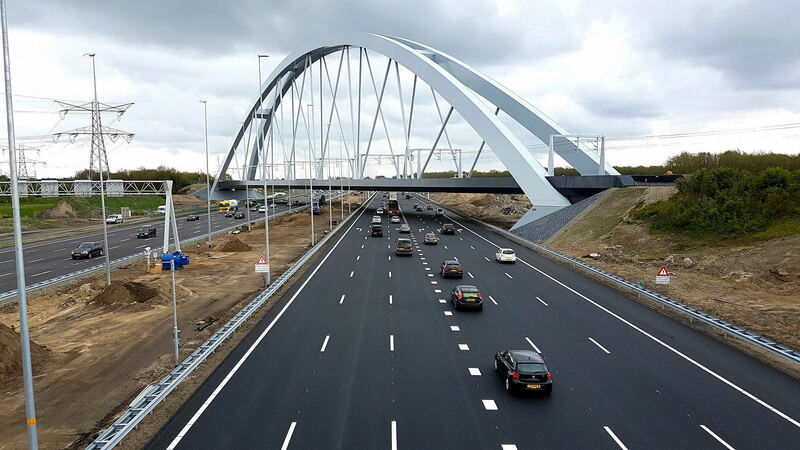 The final kilometre of the A8 motorway before the junction with the A10 Amsterdam-bound stood out in particular. At this intersection, the number of accidents has been rising for years, from an average of six per year in the period 2010 - 2012 to a record high of 38 in 2018. The final kilometre of the A1 motorway has recorded a similar development. In this sharp left-hand turn and the subsequent access ramp onto the A10, 36 collisions occurred in 2018, three times as many as in 2012. The situation on the subsequent section of the A1 motorway between Amsterdam and Naarden was much better. This section of road was streamlined and widened between 2013 and 2016. Since that time, the number of accidents on both carriageways between hectometre markers 5.0 and 20.0 has been cut by half, from 314 in 2016 to 188 in 2017 and just 146 last year. The number of accidents on five kilometre-long road sections in 2018 was highest on the Van Brienenoord Bridge. The two carriageways of this viaduct occupy first and second place in the rankings. The most notable climber on this list was the inner lane of the A10 motorway between the IJ (hectometre marker 10.0) and the Utrecht-bound A2 motorway (hectometre marker 15.0). This road section features four exit and entrance ramps, in addition to the already mentioned A1 motorway access ramp.